Victor Mujakachi, who has been detained and awaits deportation. 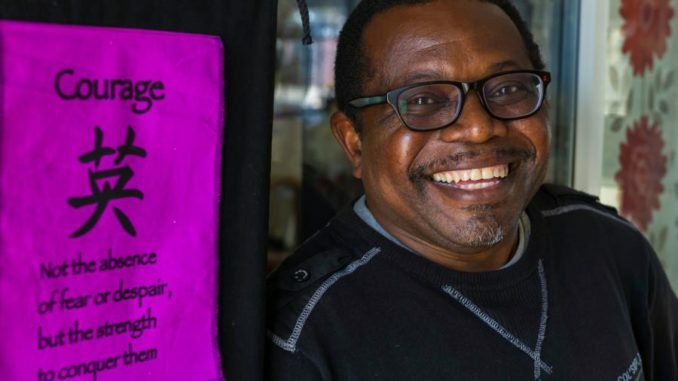 Our friend and Messenger volunteer Victor Mujakachi has been detained by the Home Office and awaits deportation. ASSIST Sheffield have started a petition to secure his release. He needs your help. He was detained when reporting at Vulcan House the morning of 11th February, along with another Zimbabwean asylum seeker. Victor has been an indispensable volunteer with many organisations across the city since arriving here in 2003. There is deep concern for Victor Mujakachi’s safety and for that of any other asylum seeker forcibly returned to Zimbabwe.